In last weekend’s Victorian state election, the incumbent Labor government did to the Coalition what a Tyrannosaurus rex did to that nerdy lawyer in Jurassic Park. It was bloody, near-historic and it has also provided more questions* than answers. How is it that no one came even close to predicting the outcome? Why was there such insufficient vetting of candidates? Where does this leave the Liberal Party’s internal culture war? (*Not exactly the same questions raised in Jurassic Park, but still quite alarming). Some of this will have little relevance to other states, or federally, but there is one topic that will reverberate for years — pre-poll voting. When pre-poll voting closed on November 23, the day before the Victorian state election, the Victorian Electoral Commission revealed that 1,391,284 votes had already been cast — a considerable rise from the 912,967 early votes in 2014. It’s a continuation and a sharp jump on a trend that has been developing across most states and territories for the past few years. In the 2016 federal election, 31% of all votes (4.5 million) were cast prior to election day — a stark increase on the 26% (3.6 million) early votes in 2013. Postal votes were also up, from 1.1 million in 2013 to 1.2 million in 2016. And in the 2015 Queensland state election, more than 200,000 pre-poll votes were cast. It could be that electors consider the inconvenience of ordinary voting at a polling place on the Saturday as an infringement on their time and are prepared to avail themselves of other voting opportunities that may be more convenient. Marcus Phipps, lecturer in political marketing at the University of Melbourne, tells Crikey the root of this trend can be explained by the “Netflix effect”. “We have grown accustomed to being able to consume things when we want and how we want. We no longer have to wait all week to watch our favourite show on a Sunday night. This is the same with voting; if we didn’t have pre-poll voting, the idea that you have to do something, especially something that is compulsory, on a particular day, time and location, would be the complete opposite to our on-demand consumption and expectations. Convenience aside, the impact of pre-poll voting is going to have dramatic impact of how political parties run their campaigns, especially when it comes to announcing their big ticket policies. Campaign launches, which have traditionally been left to the last week of an election, must now be held early. 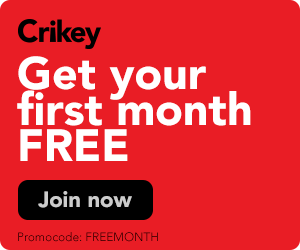 Labor, Liberal and the Greens all launched their Victorian election campaigns in late October, giving them a full month to sell their own brand of government. This means more resources — staff, volunteers and money — will be needed to try to sway voters earlier, including directly at early voting stations. While major parties can afford to do this, it leaves independents and minor parties at a significant disadvantage, so much so that following the 2014 Victorian state election, a failed candidate unsuccessfully challenged the results on the basis that pre-poll voters had breached electoral law by not signing a pre-poll declaration. “Early voting … is distorting every candidate’s right to influence the decision-making process of electors within the election time-frame,” she said. Phipps says that it’s possible, with increasing pre-poll voting, that some seats will have already been decided days or even weeks before election day. “Politicians need to shift and understand that they need to sell to voters at every moment in the campaign, especially in the early days,” he says. The Victorian election already reflected some of these shifts; some major policies were launched as far back as August and nothing of major state significance was announced in the last two weeks of the campaign, triggering complaints of this being a particularly dull campaign. The other major impact of the pre-poll vote is that these votes, like postal votes, are the last to be counted, which provides significant waiting time for results. Anyone frustrated by the two weeks it took to confirm the Wentworth byelection result will likely need to get used to such waits. So, is this a problem? 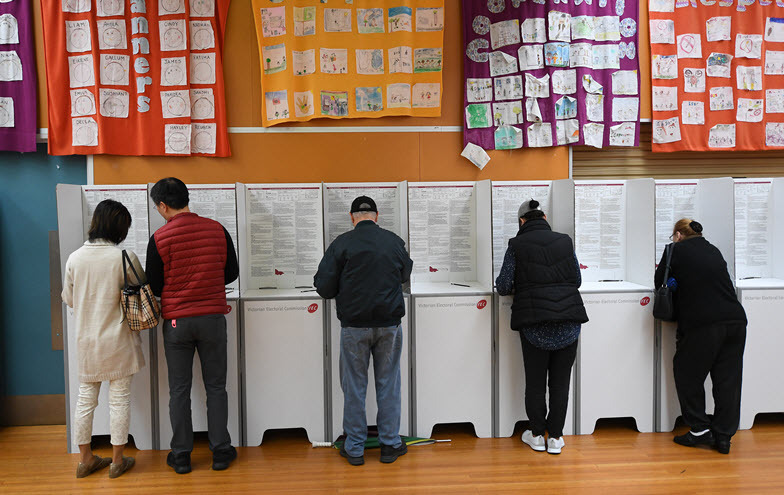 Swinburne University researcher Nathaniel Reader has argued that, technically, early voting breaks with a “key tenet” of democracy — that people should vote at the same time. Doing so, as much as possible, “confers equality on the contest”. Keep an eye out for how things run in the upcoming elections. Might depend on how you define “traditionally”, but campaign launches were not usually left to the last week of the campaign; that is a relatively recent phenomenon- and a ridiculous one: how do you “launch” something that’s been going for three weeks? Early launches are a return to tradition. I seem to recall the absurdity of Abbottrocious “launching” the tory campaign of 2013 on the Thursday before the election. That he’d been campaigning for 6 years since the Fall of the Rodent was beside the point. ‘Marcus Phipps, lecturer in political marketing’. I suggest this spin doctor has zero credibility with the voting public, and even less regard for informed decision making by voters. A significant minority of pre-poll voting will continue and is a benefit to voters, it allows more scrutiny of policy and promises by election day voters if politicians and their parties are forced to announce these earlier. It is a great advantage to voters and the electoral process. It’s not so great for the confabulations, false promises and fluff that political consultant liars like the above exist upon. RANDOMLY MODERATED / CENSORED COMMENT ABOVE. That is becoming far too common – the ModBot is in serious need of a grease & oil change, or at least a reprogramming, preferably with an axe. Actually the VEC counted pre-polls and even a lot of postals on the night. The pre-polls were also counted on the night in Wentworth. They aren’t last to be counted; they’re just the biggest pile so they take the longest Indeed, I understand with the VEC count that the VEC took advantage of the situation to get the pre-polls ready to count before polls even closed (although did not begin to actually look at the ballots and count until the stroke of 6pm) so they started to be counted earlier…. Yes, pre-poll voting should be restricted to what it was intended. It’s not onerous to attend a polling centre on election day. That said, I’m likely to do a pre-poll vote next year. The language of this article points to some of what’s remiss with our current political practice and which, inadvertently, early voting may help address. 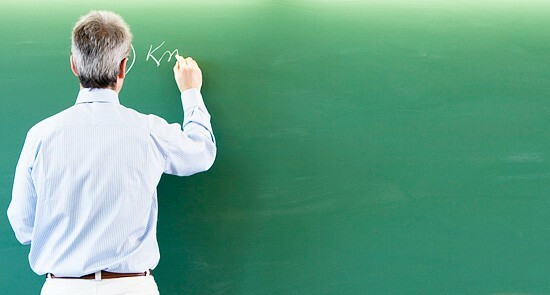 I mean … there’s actually a lecturer in political MARKETING? And “Politicians need to shift and understand that they need to sell to voters at every moment in the campaign …”. Really? Democracy is a sort of auction? Forgive me for being unduly idealistic, but I disagree. Surely the most important matters in any election are principles and policies: clearly elucidated and broadcast with ample time for sober reflection by the electorate? A party that cannot tell voters what it stands for until the very last moment, or which is willing to blow in the breeze of focus group studies, is not, in my opinion, worthy of the vote at all. Decide what you stand for, and stand up for it. Or sit down and shut up and don’t even run. I agree. I would assume that many who vote early have already made up their minds. That means that any “new” marketing that is put out will have little or no effect. Maybe, these people have spend more time looking into what the parties and their candidates are up to. My son votes early and he is completely clued up. I don’t need to vote early because I’m retired, so I stroll along to the polling booth on the appointed day and enjoy the general atmosphere. Political marketers like to think it’s their work that makes the difference, and a bad campaign can certainly spell disaster. But I think these days the parties begin campaigning at least a year out from every election, so it’s not like voters haven’t had a chance to make up their mind at the start of the campaign. Pre-poll voting is not a problem that needs solving. Besides, I don’t like sausages. Maybe people are fed up with the waste that is how-to-vote cards and the rugby gang-tackle of having 6 people shove paper in your face on arrival at the polling place. Is this a really democratic system (or semblance of one) to vote early for no reason other than convenience? I can see circumstances were early voting has a worthy outcome, but convenience is not one. Does no one ever regret casting their vote early only to have some dingbat in some party do something ridiculous and the voter can no longer register their dismay? I am not against early voting with a good reason, but it should be restricted to the week before, no earlier and there should be some pertinent reason for it….illness, age, travel, work etc. At the rate we are going I might decide to cast my vote for the 2023 election this week! And I might even be dead by then! On what grounds do you believe pre-polling is undemocratic ? I suggest you try vote for the 2023 election, you might learn that there are strict timeframes for pre-polling and the most glaringly obvious is that an election date must be set. What happens if the voter is going to be overseas starting from 3 weeks before the election (as I expect to be for the next election)? Your proposal would disenfranchise many voters. Why would doing a postal vote be OK, but a pre-poll vote not? Convenience is a very good reason to have pre-poll voting. In the former “land of the free” many state governments are adopting more and more measures to make voting difficult for particular groups in society. This process is known as “voter suppression.” Basically, any process that makes voting more difficult, that is, inconvenient, is voter suppression. Fortunately in Australia we have the opposite of that process, facilitating voting for anyone who is entitled to do so. This doesn’t make a perfect democracy but it’s better than suppression. For historical reasons totally unconnected to making it difficult for the wrong sort of voter, the UK votes of Thursdays, the US Tuesday and various other days in Euroland. In Australia, voting being ‘compulsory’, it is on Saturday as the ostensible day off, so that most people don’t have to lose pay taking time off. The US is probably the only OECD country in which election laws are decided wayyy down the food chain, often at county level where Boss Bullthroat holds sway. People, like me, are just working out that it’s easier. If I have to go away for the weekend to justify it, then I’m happy to do it. I haven’t voted on election day for about 10 years and don’t intend to for the rest of my life. I can also assure everyone that my vote would never change in the last week of a campaign. People who make up their minds in the last few days are by definition indecisive and disengaged. And no, I ain’t rusted on anything, but I do live by principles that are highly refined and inviolable. You can’t change them in a couple of days.